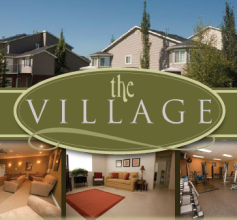 The Village Apts: Get 1st Month’s Rent FREE w/ 12-Month Lease! Sign a 1-year lease now on an Oxford apartment at The Village and you will receive you first full month for FREE! Plus, on top of this spectacular offer tenants receive free TV and internet with a 12-month (or longer) lease. Call 208-356-7786 or visit thevillagerex.com/get-your-first-month-free.